We had brunch while we were watching the football game the other day. 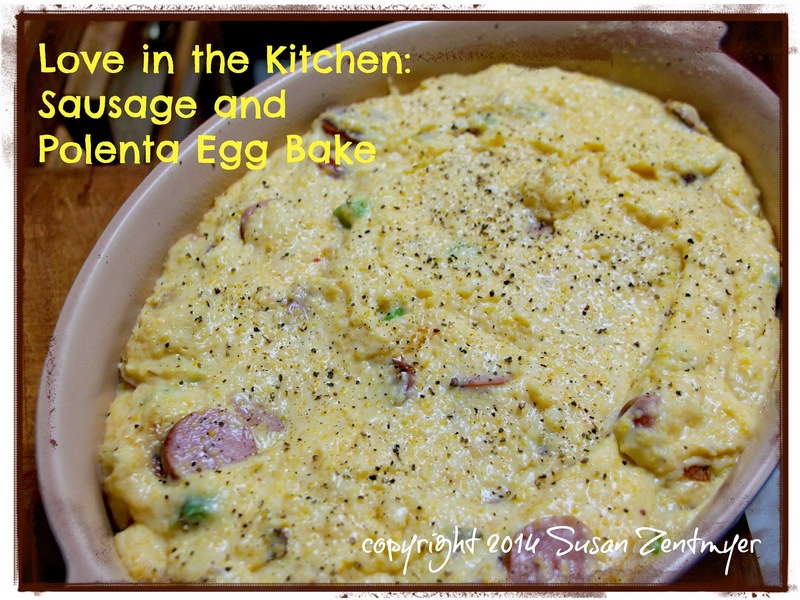 Andouille sausage, two types of cheese, and a splash of hot sauce add flavor and a little kick to this Sausage and Polenta Egg Bake. 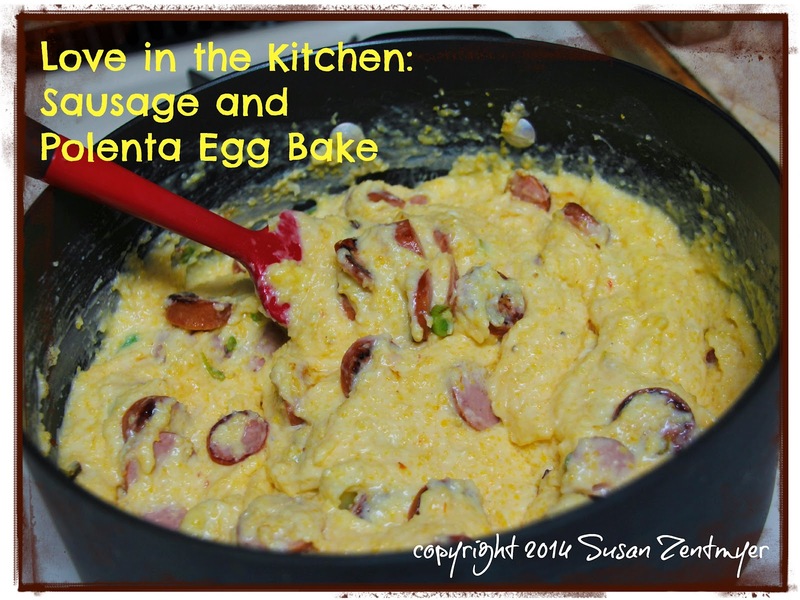 I love this creamy and spicy breakfast dish. You can also make it the night before - just put it together up to the point when you are ready to put it into the oven, cover with plastic wrap and refrigerate. Then bake in the morning! Bring milk to a simmer in a large saucepan. Reduce heat to medium-low. 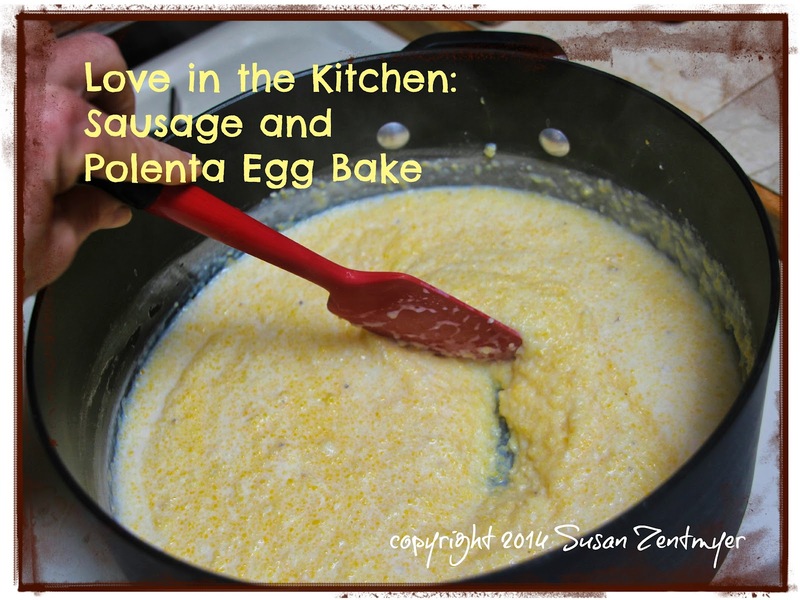 Stir in polenta and salt; simmer 7 minutes, stirring frequently with a whisk. Remove from heat. Add cheeses; stir until cheeses melt. 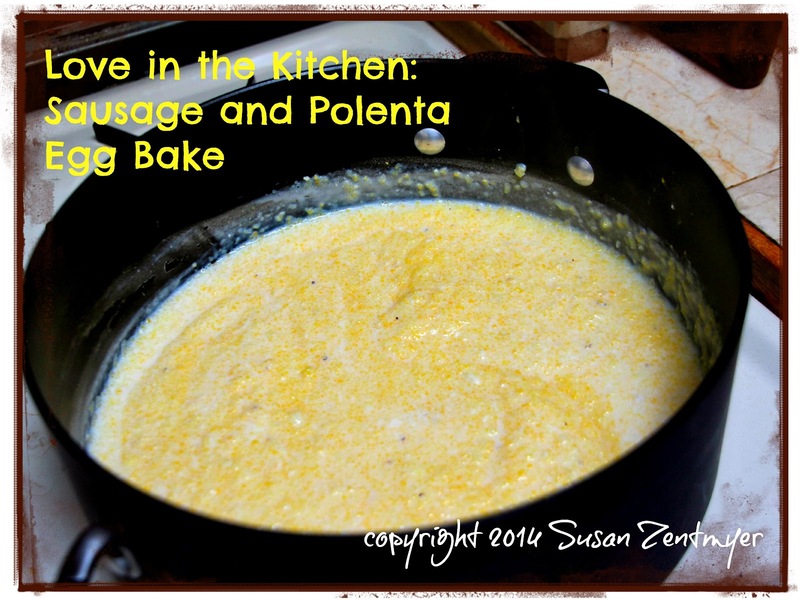 Place the polenta mixture in a large bowl; let stand 15 minutes, stirring occasionally. 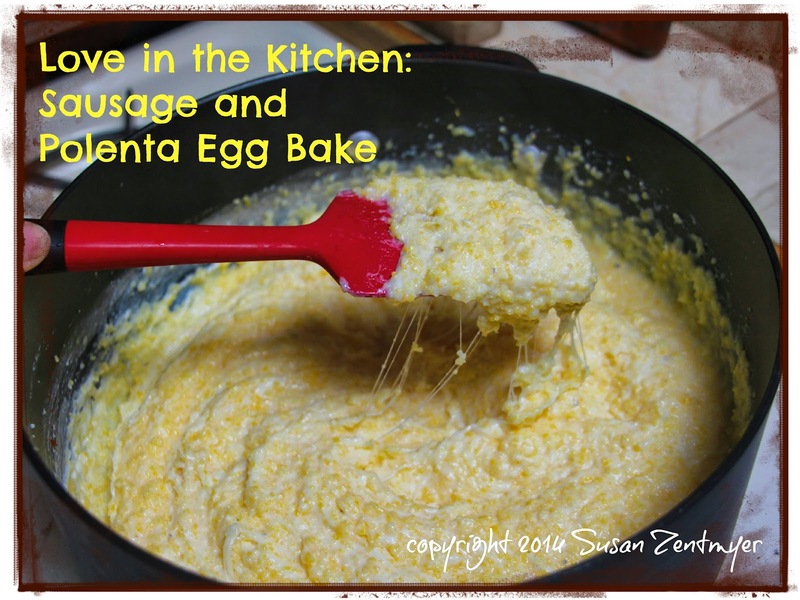 Stir in pepper sauce and eggs. Add sausage mixture; stir well to combine. Preheat oven to 425°. 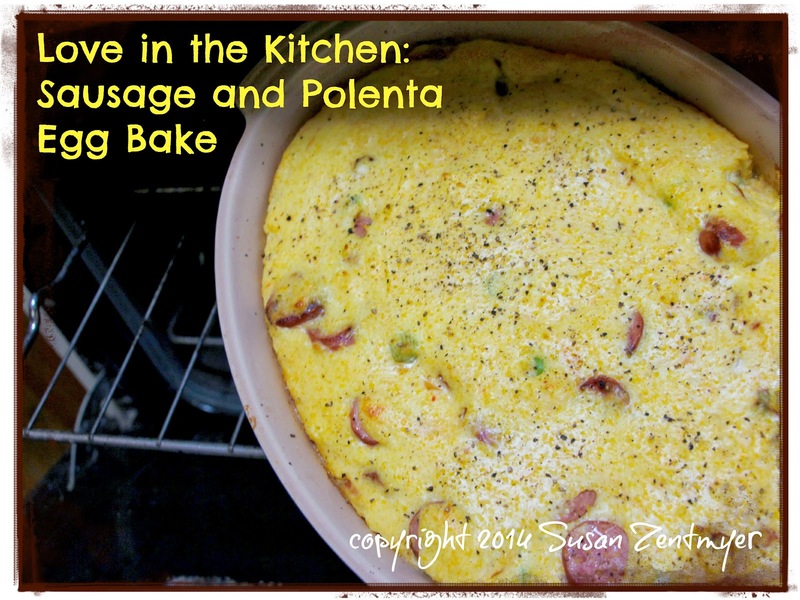 Spread polenta mixture into a 2-quart glass or ceramic broiler-safe baking dish coated with cooking spray. Bake at 425° for 25 minutes or just until set. 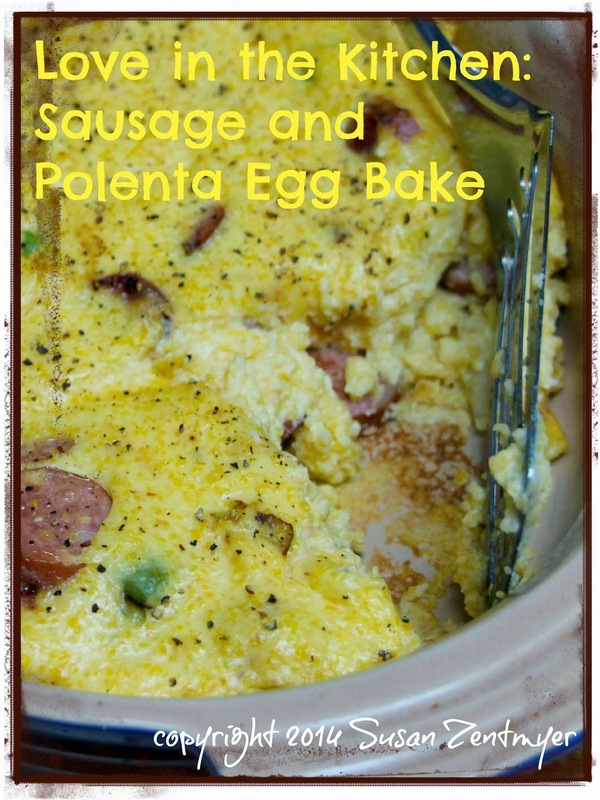 Both spicy and creamy, this is a great way to start the day! And it's so easy, you won't have to spend all day int he kitchen. 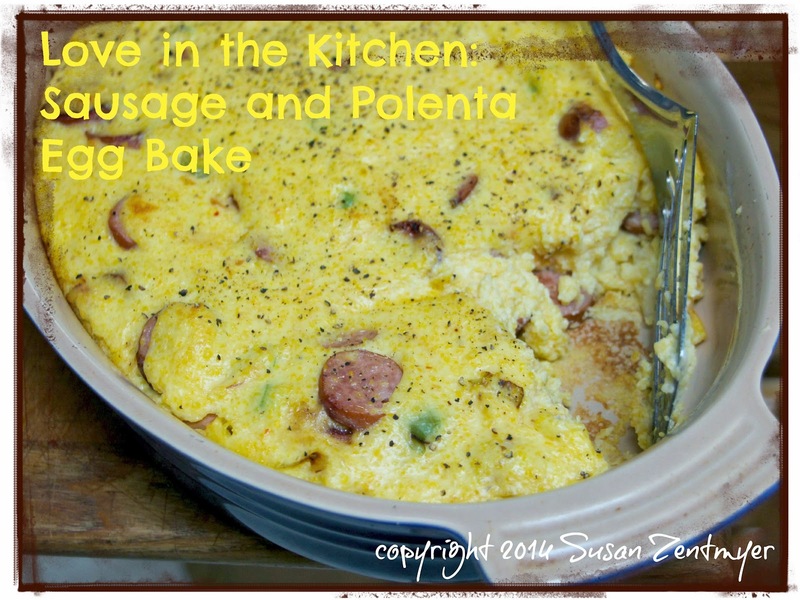 Oh, and definitely save the leftovers - they make a fantastic side dish! Oooooo... 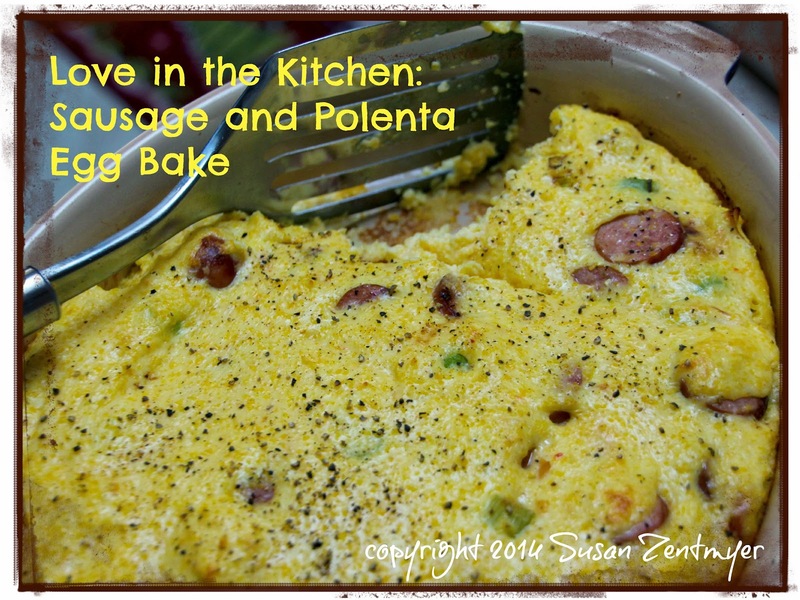 I love that you used polenta in this, Susan! :) Sounds delicious!